Are Bath Salts Addictive? How Addictive are Bath Salts? Am I Addicted to Bath Salts? Bath salts aren't a single type of drug, but rather a group of synthetic designer drugs containing cathinone, a powerful stimulant. These drugs have seen a significant surge in use over the past few years, due in part to manufacturers' attempts to thwart law enforcement. It begins with mild drug cravings. It then escalates to a tolerance of bath salts' effects. It finally ends with chemical dependency. When you become dependent on bath salts, your body is convinced that you need the drug to survive. This can lead to painful physical and psychological withdrawal symptoms. In 2011, emergency rooms saw 23,000 cases of bath salt-related health problems. These numbers suggest that the drug is so addictive that users will abuse it even in the face of serious health consequences. Get Help Now Don't let bath salts addiction steal your health or that of someone you love. Find treatment and get started down the road to recovery. Doing things you regret to get bath salts. Experiencing intense periods of high energy or aggression. Breaking the law to procure bath salts. Hurting people you love--or yourself--because of your addiction also suggest a chemical dependency on bath salts. Importantly, you do not have to be addicted to bath salts to suffer health consequences. Bath salts can be highly dangerous even with the first use. If you think you might be addicted to bath salts, consider the fact that there is no legitimate medical use to this drug and plenty of risks. Then ask yourself why you continue using. If you're like many bath salt users, it's because the drug's stimulating effects make you feel confident and perhaps even help you get your work done. You might also use bath salts as an escape from the unpleasant realities of everyday life. If you've tried to quit and you can't, you may be addicted. Don't worry, though. Addiction is not a personal failing, and treatment can and does work for addicts every day. Your loved one's behavior is a product of addiction, not how he or she feels about you. Setting clear boundaries, though, will help you stay safe. If someone you love is addicted to bath salts, know that you're not dealing with a rational person. Bath salts alter brain function, potentially producing intense aggression, anxiety, and paranoia. Bath salt users may even behave violently toward the people they love. Your loved one's behavior is a product of addiction, not how he or she feels about you. Setting clear boundaries, though, will help you stay safe. The right boundaries can even encourage your loved one to seek treatment by making treatment seem like the easier option than continuing with the addiction. 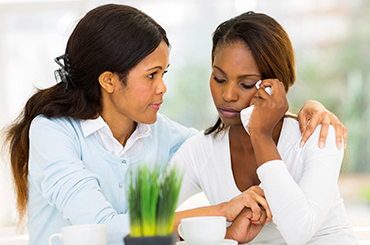 If you are going through a difficult time engaging with a loved one struggling with substance abuse or are unsure how to encourage them to seek help, resources are available to help you through this time emotionally and empower you to take control of the situation. Call 1-888-993-3112Who Answers? to speak confidentially to someone who can help you find resources for your loved one. An intervention is a high-pressure tactic that won't always work, especially if your loved one is high on bath salts at the time of the intervention. Because bath salts can lead to violent and angry behavior, you'll need to be prepared for the possibility that the intervention causes your loved one to express intense anger and even walk out. Share how the addiction has affected his or her life. Explain what he or she will do if the addict refuses treatment. For instance, the addict's spouse might itemize how angry and unreliable the addict has come, then say that she will no longer stay with the addict if he refuses treatment. 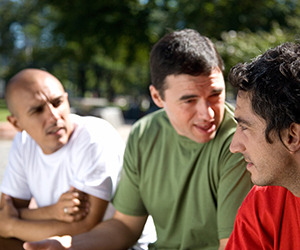 At the end of the intervention, the addict has the choice to either pursue treatment or face the consequences his or her loved ones have outlined. Bath salts are a relatively new drug, which means there's often not much reliable information available to those who love a bath salt addict. A support group such as Nar-Anon, though, offers you fellowship with other people who love addicts, as well as a chance to establish clear boundaries that can keep you safe and help you live a happy life--even if the addict never chooses treatment. 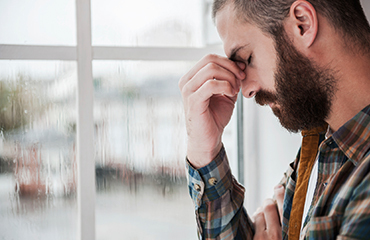 If you find that your life has become dominated by your loved one's addiction, you may also want to consider therapy, which can help you better understand how and why a loved one's addiction has come to dominate your existence. While bath salts may seem like an unlikely drug, it is still highly addictive and stopping can be difficult alone. Many addicts find that the pressure to use the drug is just too great. Inpatient Rehab.If you're unsure whether you'll have the willpower to stay sober, inpatient rehab can be a great choice. This approach offers therapy, support groups, 12-step programs, medical detox, and a safe environment where you can focus on your recovery. If you're anxious about the conditions you'll encounter in rehab, you might want to consider a private luxury program. These programs offer rehab that feels like a vacation, not to mention plenty of luxury services and a private room. Executive Treatment.If you're a busy professional or a high-profile executive, consider executive rehab, which blends immense privacy with a chance to continue working as you receive treatment. And for addicts who like the idea of rehab, but who aren't ready to move out of their homes, partial hospitalization and intensive outpatient programs offer the benefits of inpatient rehab, but with the chance to go home at the end of each day. Outpatient Treatment.Outpatient treatment can also work wonders, whether it's your first line of defense, or follow-up care after you check out of rehab. Therapy can help you develop new coping skills while gaining a better understanding of your addiction. A doctor can help you safely detox, and 12-step groups such as Narcotics Anonymous can provide support at just about any time you need it. Choosing a treatment option is a critical decision which has serious effects on long-term recovery and abstinence. In order to help you select the best option for your care, our treatment support specialists are available 24/7 at 1-888-993-3112Who Answers? ; please make recovery a reality by calling today. Every addict has a story, and you deserve a rehab that fits your story. If you struggle with mental illness, for instance, it's important to choose a facility equipped to deal with these issues. A history of trauma, by contrast, means you should get trauma-sensitive treatment. Don't shy away from asking plenty of questions, and remember that a good treatment provider will be thrilled to talk about the excellent work they do. Being a good advocate for yourself is the first step on the road to recovery, so spend some time thinking about what you want and need before you agree to join any specific program. The journey to sobriety is not easy, but it is possible. Millions of addicts recover each year, and you can, too.